Robotics Team Wins Project Award! Congratulations Panther Power! With an exemplary rubric, the team won the Project award. They designed the “Tube-Brush 1159” – a tooth brush system that will cut the astronauts steps from 26 – 9 steps when brushing their teeth. This year the topic is Into Orbit. The group had to choose a problem. They researched various problems that astronauts have in space. In the end, they decided to solve this problem. Astronauts have a hard time brushing their teeth in space. They have 26 steps to brushing their teeth. If they don’t do them correctly, it could be dangerous. All the particles of water and toothpaste can float away and get on important pieces of equipment, causing the equipment to get damaged or worse. Dr. Pelcher, a dental expert, talked to us about how brushing your teeth is important to an astronauts overall health, including heart, lungs, and mental. Our innovative solution is the Tube-brush 1159. This toothbrush does many things. Our Tube-brush 1159 includes 2 syringes. One has water and the other has toothpaste. They are connected by a thin clear tubing that goes up to the head of the brush. In the center of the brush head is the end of the clear tubing. 1. Put the toothbrush in your mouth. 2. Push the syringe lever of water and toothpaste to your desired amount. 4. Swallow or spit in a cloth the particles of toothbrush and water. 5. Repeat steps 2,3, and 4 as needed. 6. Take the toothbrush out of your mouth. 7. Reattach toothbrush to Velcro on wall. 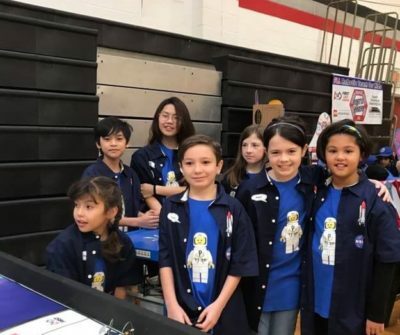 To help with this project, the team interviewed experts: Trent Seelig, an astrophysicist, our own Dr. Pelcher, a dentist, Christine Collins from NASA, Michael Nitzsche, an alumni Team member who had an internship with NASA and Dr. Marcy Pasternak a psychologist.